The popular streaming service, Twitch, has over 2 million unique users per month. Over the years, Twitch has evolved in to more than just a basic streaming service. Taking on social media like features, the platform has become a community where users can connect using profiles, status updates, and content sharing. 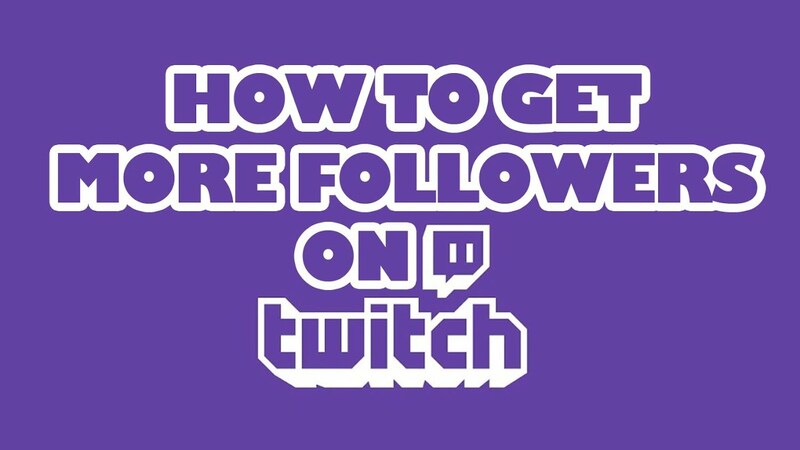 Are you looking to gain twitch viewers and followers to boost your profile? Below are a few simple ways to do just that. Twitch works a lot like other social media sites. The more you actively take part in the service, the more exposure your account will get with other users. Spend time watching other Twitch streamer’s content. Follow channels you really like, and reach out to the channel host to connect. Check out other follower’s channels to see what you have in common. Be genuinely interested in their channel and who they are as a person. If you have common interests, they’ll probably follow you back and even shout out your channel to other followers. Comment on content you like and join in on conversations. Putting yourself out there for other Twitch viewers will get major exposure for your channel, and boost your follower ship. Be always respectful and sincere. You don’t want a negative attitude tanking your channel. If you aren’t hosting an active channel, no one will be able to find you let alone follow you. You need to be streaming several hours a day to make it up the ranks in search results. Twitch loves users who are online, and in turn you’ll get Twitch followers by having increased search hits. In addition to mega stream time, try and be active on a set schedule. Your followers will appreciate knowing exactly what time you’ll be live, and they can plug your channel if they know when to expect your content. Just like traditional television, Twitch viewers sync their lives up with their favorite show schedule. You want to be in that lineup. Take your Twitch channel to new levels by streaming on sites like YouTube and you can promote yourself on Instagram, Twitter, and Facebook. Build a marketing plan for your Twitch channel. This will bring users in from multiple platforms and boost your profile views with little extra effort. Be excited about your channel and others will be too. Always link back to your Twitch account so future followers can skip the social media step and get right to your content. Becoming a Twitch superstar does take some work and a lot of commitment to creating an attractive profile and channel. It won’t happen overnight, but it doesn’t have to be a struggle. Other Twitch users want to be engaged with and they want their page to grow too! Following people you connect with and building a relationship with them will get you to the top fast. Stay plugged in, consistent, and give your audience something to look forward to.